Now some vaccinologists are beating the drum to bring back that nasty old vaccine and give it to newborn babies in America. 18 19 They say they think the toxin-filled whole cell pertussis vaccine in DPT works a little better at preventing whooping cough a little longer than the purified acellular pertussis vaccine in DTaP. They want to “prime” little six to eight-week old babies with ALL the bioactive toxins in the whole cell pertussis vaccine’s crude brew. Apparently they think it is worth the risk to pretend like they have fixed the problem. The attempt to rewrite history has begun, and the strategy is to rehabilitate the bad reputation of whole cell DPT vaccine so the clock can be turned back. Pertussis Fact Number Two: After recovering from a pertussis infection, natural immunity is thought to last between seven and 20 years and artificial immunity has been estimated to wane as early as two years after getting vaccinated with either whole cell or acellular pertussis vaccines. 35 36 37 Vaccinated and unvaccinated people can get two or three pertussis infections during their lifetime, and immunity can be asymptomatically boosted after the first infection. It was obvious more than 30 years ago that whole cell pertussis vaccine in DPT was not only highly reactive, but was marginally effective. In July 2018, the obedient US media hyped a small study out of California promoting the idea that whole cell pertussis vaccine stimulates a broader type of immunity that lasts longer than acellular pertussis vaccine. 77 The by-now familiar refrain was that it would be better to give babies a couple of doses of the old admittedly more reactive whole cell pertussis vaccine followed up by booster doses of acellular vaccine. The public was being softened up to accept the unacceptable. Everybody knows about how the indiscriminate use of antibiotics has led to virulent antibiotic-resistant strains of bacteria, which evolved to evade those miracle drugs that do save lives when doctors prescribe them properly. Well, the same thing has happened with the B. pertussis bacterium, which started evolving to become vaccine resistant soon after public health officials and pediatricians prescribed multiple doses of whole cell DPT vaccine for all children. So why would any rational thinking person with an ounce of moral integrity suggest that subjecting newborn babies to the more reactive pertussis vaccine is the solution to preventing whooping cough, when none of the pertussis vaccines contain the new pertussis strains causing whooping cough today? Vaccination is often hailed as the greatest achievement in the history of medicine, but doctors giving vaccines and people getting them have been kept in the dark about just how much is not known about vaccine risks and failures. So when a healthy child or pregnant women gets vaccinated and dies, or is never well again, doctors kept in the dark are conditioned to tell mothers kept in the dark that the vaccine or combination of vaccines just given had nothing to do with it. In 1982, the eyes of parents in America were opened by the award winning television documentary DPT: Vaccine Roulette, followed by parents founding the organization known today as the National Vaccine Information Center and the publishing of the book DPT: A Shot in the Dark in 1985. 113 The reactivity of DPT vaccine was out in the open and mothers were sharing their first hand experiences of how they watched their babies suffer terrible DPT vaccine reactions. Between 50 and 80 percent of babies who get whole cell DPT shots run fevers, and experience pain, redness and swelling at the site of the injection, and many of them are more fussy or lose their appetite for a day or two. 114 If DPT vaccine reactions were confined to sore arms and legs or low fevers and a little extra fussiness, there would never have been a call by parents to make that old vaccine less reactive. A 1981 U.S. study funded by the FDA and conducted at UCLA found that 1 in 875 DPT shots was followed by a convulsion or collapse/shock reaction. 127 Some of the children in that study were left with neurological problems and low IQs. To all those doctors out there who think you have a problem with public trust in vaccine safety today, 142 143 just wait until you try to strong arm mothers and fathers in America to give their newborn babies that nasty old whole cell pertussis vaccine. In 2015, the World Health Organization issued a new pertussis vaccine position paper to give doctors in every nation their marching orders. 144 In that paper, global public health officials rejected nearly a century of scientific evidence documenting the toxicity and risks of whole cell pertussis vaccine. They said that, except for anaphylaxis, there are no contraindications to giving children any type of pertussis-containing vaccine. No contraindications. No medical exemptions. Not for children who are sick at the time of vaccination or have suffered high pitched screaming, collapse, convulsions and brain injury within hours, not for children who almost died after vaccination. This is the End Game being played out on the world stage that I have been warning since 1993 was coming, the day when every vaccine that the pharmaceutical industry creates and government health officials recommend will be forced on you and your children. 150 151 No questions, no mercy, no exceptions. We, the people, are the barrier that stands between our children and grandchildren and the toxic whole cell pertussis vaccine the vaccine industry wants to bring back to America so they can rewrite history and turn the clock back. Before the drum beat gets any louder, 152 it is up to each one of us to stand up and defend freedom of thought and speech and conscience in America so we can protect our right to know and freedom to make voluntary vaccine decisions for ourselves and our children. Nobody will save you and your family from what is coming tomorrow except the action that you, personally, take today. Please share this commentary with your family and friends and make an appointment to speak with your elected representatives. Sign up to use the free online NVIC Advocacy Portal and join with other concerned citizens in your state who want to stop the liability free vaccine industry from continuing to exploit the health of our children and our nation. 1 Centers for Disease Control and Prevention (CDC). Pertussis. Epidemiology and Prevention of Vaccine-Preventable Diseases, 13th ed. Public Health Foundation 2015. The Pink Book July 12, 2018. 2 Hinman AR. DTP vaccine litigation. Am J Dis Child 1986; 140(6): 528-530. 3 National Vaccine Information Center. NVIC Position Statement on the National Childhood Vaccine Injury Act of 1986. May 2018. 4 US National Library of Medicine. Formaldehyde (formalin). PubChem Open Chemistry Database Sept. 1, 2018. 5 Mold M, Shardlaw E, Exley C. Insight into the cellular fate and toxicity of aluminum adjuvants used in clinically approved human vaccinations. Sci Rep 2016; 6: 31578. 6 Burbacher TM, Shen DD et al. Comparison of Blood and Brain Mercury Levels in Infant Monkeys Exposed to Methylmercury or Vaccines Containing Thimerosal. National Center for Biotechnology Information, U.S. National Library of Medicine Apr. 21, 2005. 7 Geier DA, Geier MR. Clinical Implications of Endotoxin Content in Vaccines. Ann Pharmacother 2002; 36(5). 8 Brito LA, Singh M. Acceptable Levels of Endotoxin in Vaccine Formulations During Preclinical Research. Journal of Pharmaceutical Sciences 2011; 100(1): 34-37. 9 Steinman L, Weiss A et al. Pertussis toxin is required for pertussis vaccine encephalopathy. Proc Natl Acad Sci 1985; 82(24): 8733-8736. 10 Munoz JJ, Arai H. Biological Activity of Crystalline Pertussigen from Bordetella pertussis. Infect Immunity 1981; 33(3): 820-826. 11 Donnelly S, Loscher CE et al. Whole cell but Not Acellular Pertussis Vaccines Induce Convulsive Activity in Mice: Evidence for a Role for Toxin-Induced Interleukin-1B in a New Murine Model for Analysis of Neuronal Side Effects of Vaccination. Infect Immun 2001; 69(7): 4217-4223. 12 Linthicum DS. Development of acute autoimmune encephalomyelitis in mice: factors regulating the effector phase of the disease. Immunobiology 1982; 162(3): 211-220. 13 Sidey FM, Furman BL, Wardlaw AC. Effect of hyperreactivity to endotoxin on the toxicity of pertussis vaccine and pertussis toxin in mice. Vaccine 1989; 7(3): 237-241. 14 Changming L, Pelech S et al. Pertussis toxin induces angiogenesis in brain microvascular endothelial cells. J Neuroscience Research 2008; 86(12): 2624-2640. 15 Patel MK, Patel TK, Tripathi CB. Diphtheria, pertussis (whooping cough) and tetanus vaccine induced recurrent seizures and acute encephalopathy in a pediatric patients: Possibly due to pertussis fraction. J Pharmacol Pharmacother 2012; 3(1): 71-73. 16 Heikkinen E, Kallonen T et al. Comparative Genomes of Bordetella pertussis Reveals Progressive Gene Loss in Finnish Strains. PLos One September 2007; 9. 17 Schmidtke AJ, Boney KO et al. Population Diversity among Bordetella pertussis Isolates, United States, 1935-2009. Emerg Infect Dis 2012; 18(8): 1248-1255. 18 DeAngelis H, Scarpino SV et al. Epidemiological and Economic Effects of Priming With Whole Cell Bordetella pertussis Vaccine. JAMA Pediatr 2016; 170(5): 459-465. 19 Offit PA. Should We Bring Back the Whole Cell Pertussis Vaccine? Medscape Apr. 29, 2016. 20 Sato Y, Kimura M, Fukumi H. Development of Pertussis Component Vaccine in Japan. The Lancet 1984; 323(8369): 122-126. 21 Institute of Medicine. Pertussis and Rubella Vaccines: A Brief Chronology (Appendix B, pp. 320) In: Adverse Effects of Pertussis and Rubella Vaccines. The National Academies Press 1991. 22 Fisher BL Oral presentation on behalf of National Vaccine Information Center at NIH Pertussis Conference June 3-5, 1996. 23 CDC. Notice to Readers Food and Drug Administration Approval of an Acellular Pertussis Vaccine for the Initial Four Doses of the Diphtheria, Tetanus, and Pertussis Vaccination Series. MMWR Aug. 9, 1996; 45(3): 676-677. 24 Gangarosa Ej, Galazka AM et al. Impact of anti-vaccine movements on pertussis control: the untold story. Lancet 1998; 351 (9099): 356-361. 25 Poland GA, Jacobson RM. The age-old struggle against the antivaccinationists. N Engl J Med 2011; 364(2): 97-99. 26 NVIC. National Vaccine Information Center Cites “Betrayal” of Consumers by U.S. Supreme Court Giving Total Liability Shield to Big Pharma. BusinessWire Feb. 23, 2011. 27 Hinman AR. The pertussis vaccine controversy. Public Health Reports 1984; 99(3): 255-259. 28 National Institutes of Health. U.S. National Library of Medicine (PubMed). 29 World Health Organization/UNICEF. A record 123 million children were immunized globally in 2017 but millions of children are still not reached by potential life saving vaccines. 2017. 30 Yeung KHT, Ducios P et al. An update of the global burden of pertussis in children younger than 5 years: a modeling study. Lancet Infect Dis 2017; 9: 974-980. 31 Korte R, Rehle T, Merkle A. Strategies to maintain health in the Third World. Trop Med Parasitol 1991; 42(4): 428-432. 32 CDC. 2017 Provisional Pertussis Surveillance Report. April 2018. 33 Long SS, Wellson CJ, Clark JL. Widespread silent transmission of pertussis in families: antibody correlates of infection and symptomology. J Infect Dis 1990; 161(3): 480-486. 34 Bamberger ES, Srugo I. What is new in pertussis? Eur J Pediatr 2008; 167: 133-139. 35 Trollfors B. Bordetella pertussis whole cell vaccines – efficacy and toxicity. Acta paediatrica Scandinavia 1984; 73(4): 417-425. 36 Wendelboe AM, Van Rie A et al. Duration of immunity against pertussis after natural infection or vaccination. Pediatr Infect Dis J 2005; 24(Suppl 5): S58-S61. 37 Matthias J, Pritchard S, Martin SW et al. Sustained Transmission of Pertussis in Vaccinated, 1–5-Year-Old Children in a Preschool, Florida, USA. Emerging Infectious Diseases Jan. 15, 2016. 38 Nelson JD. The changing epidemiology of pertussis in young infants. The role of adults as reservoirs of infection. Am J Dis Child 1978 132(4): 371-373. 39 Fine PEM, Clarkson JA. The Recurrence of Whooping Cough: Possible Implications for Assessment of Vaccine Efficacy. The Lancet 1982; 1(8273): 666-669. 40 Marchant CD, Loughlin AM, Lett SM et al. Pertussis in Massachusetts, 1981-1991: incidence, serologic diagnosis, and vaccine effectiveness. J Infect Dis 1994; 169(6): 1297-1305. 41 Van Boven M, de Melker HE et al. Waning immunity and sub-clinical infection in an epidemic model: implications for pertussis in The Netherlands. Math Biosci 2000; 164(2): 161-182. 42 Yih WK, Lett SM, desVignes FN et al. The increasing incidence of pertussis in Massachusetts adolescents and adults 1989-1998. J Infect Dis 2000; 182(5): 1409-1416. 43 Tanaka M, Vitek CR, Pascual B et al. Trends in Pertussis Among Infants in the United States, 1980-1999. JAMA 2003; 290)22): 2968-2975. 44 Jenkinson D. Duration of effectiveness of pertussis vaccine: evidence form a 10 year community study. Brit Med J 1988; 296: 612-614. 45 Christie CDC, Marx ML, Colin D et al. The 1993 Epidemic of Pertussis in Cincinnati. N Engl J Med 1994; 331: 16-21. 46 DeSerres G, Boulianne N et al. Pertussis in Quebec: ongoing epidemic since the late 1980’s. Can Commun Dis Rep 1995; 21(5): 45-48. 47 CDC. Pertussis Outbreak – Vermont, 1996. MMWR Sept. 5, 1997; 46(35): 822-826. 48 Conley JM, Johnston BL. The role of the acellular pertussis vaccine and the demise of ‘Pertussis Pete.’ Can J Infect Dis 2001; 12(1). 49 Bouchez B, Guiso N. Bordetella pertussis, B. parapertussis, vaccines and cycles of whooping cough. FEMS Pathogens and Disease Aug. 4, 2015 (online). 50 CDC. Pertussis – United States, January 1992-June 1995. MMWR July 21, 1995; 44(28): 525-529. 52 Bernstein DI, Smith VE et al. Comparison of acellular pertussis vaccine with whole cell vaccine as a booster in children 15 to 18 months and 4 to 6 years of age. Pediatr Infect Dis J 1993; 12(2): 131-135. 53 Edwards KM, Meade BD et al. Comparison of 13 Acellular Pertussis Vaccines: Overview and Serologic Response. Pediatrics 1995; 96(3). 54 Greco D, Salmao S et al. A Controlled Trial of Two Acellular Vaccines and One Whole Cell Vaccine against Pertussis. N Eng J Med 1996; 334: 341-349. 55 Gustafasson L, Hallander HO et al. A Controlled Trial of a Two-Component Acellular, a Five-Component Acellular, and a Whole Cell Pertussis Vaccine. N Eng J Med 1996; 334: 349-356. 56 Van Boven M, de Melker HE et al. Waning immunity and sub-clinical infection in an epidemic model: implications for pertussis in The Netherlands. Math Biosci 2000; 164(2): 161-182. 57 Srugo I, Nenilevi D et al. Pertussis Infection in Fully Vaccinated Children in Day Care Centers, Israel. Clin Infect Dis 2000; 6(5): 526-529. 58 Brooks DA, Clover R. Pertussis infection in the United States: Role of Vaccination of Adolescents and Adults. J Am Board Fam Med 2006; 19(6): 603-611. 59 Vickers D, Ross AG et al. Whole-cell and acellular pertussis vaccination programs and rates of pertussis among infants and children. CMAJ 2006; 175(10): 1213-1217. 61 Centers for Disease Control (CDC). Prevention and Control of Influenza. Recommendations of the Advisory Committee on Immunization Practices (ACIP). MMWR July 28, 2006; 55(RR10): 1-42. 62 Wei SC, Tetti K, Cushing K et al. Effectiveness of Adolescent and Adult Tetanus Reduced-Dose Diphtheria and Acellular Pertussis Vaccine against Pertussis. Clin Infect Dis 2010; 51(3): 315-321. 63 Gupta S. Does the Whooping Cough Vaccine Work? Everyday Health Dec. 23, 2013. 64 Salzberg S. Whooping Cough Epidemics: Blame the Anti-Vaccine Movement. Forbes Oct. 11, 2016. 65 Jaslow R. 2010 California whooping cough outbreak linked to vaccine adverse parents. CBS News Sept. 20, 2013. 66 Meade BD, Plotkin SA, Locht C. Possible Options for New Pertussis Vaccines. J Infect Dis 2013; 209 (Suppl 1): S24-S27. 67 Witt MA, Arias L et al. Reduced Risk of Pertussis Among Persons Ever Vaccinated With Whole Cell Pertussis Vaccine Compared to Recipients of Acellular Pertussis Vaccines in a Large US Cohort. Clin Infect Dis 2013; 56(9): 1246-1254. 68 Tartof SY, Lewis M et al. Waning Immunity to Pertussis Following 5 Doses of DTaP. Pediatrics 2013; 131(4). 69 Lambert LC. Pertussis Vaccine Trials in the 1990s. J Infect Dis 2014; 209 (Suppl 1): S4-S9. 70 Klein NP. Licensed pertussis vaccines in the United States. Hum Vacc Immunother 2014; 10(9): 2684-2690. 71 Warfel JM, Zimmerman LI, Merkel TJ. Acellular pertussis vaccines protect against disease but fail to prevent infection and transmission in a nonhuman primate model. Proc Nat Acad Sci 2014; 111(2): 787-792. 72 Althouse MB, Scarpino SV. Asymptomatic transmission and resurgence of Bordetella pertussis. BMC Med 2015; 13(146). 73 DeAngelis H, Scarpino SV et al. Epidemiological and Economic Effects of Priming With Whole Cell Bordetella pertussis Vaccine. JAMA Pediatr 2016; 170(5): 459-465. 74 Schwartz KL, Kwong JC et al. Effectiveness of pertussis vaccination and duration of immunity. CMAJ Sept. 26, 2016. 75 Locht C. Pertussis: acellular, whole-cell, new vaccines, what to choose? Exp Rev Vaccines 2016; 6. 76 Kovitwanichkanont T. Public health measures for pertussis prevention and control. Aus NZ J Pub Health 2017; 41(6): 557-560. 77 Da Silva Antunes R, Babor M et al. Th1/Th17 polarization persists following whole-cell pertussis vaccination despite repeated acellular boosters. J Clin Invest June 19, 2018. 78 Long SS, Lischner HW et al. Serologic evidence of subclinical pertussis in immunized children. Pediatr Infect Dis 1990; 9(10): 700-705. 79 Heiniger U. Pertussis: An Old Disease That Is Still With Us. Infect Dis Clin Prac 2001; 11(5): 294-301. 80 Zhang Q, Yin Z, Shao LH et al. Prevalence of asymptomatic Bordetella pertussis and Bordetella parapertussis infections among school children in China as determined by pooled real-time PCR: a cross-sectional study. Scand J Infect Dis 2014; 46(4): 280-287. 81 Fine PEM, Clarkson JA. The Recurrence of Whooping Cough: Possible Implications for Assessment of Vaccine Efficacy. The Lancet 1982; 1(8273): 666-669. 82 He Q, Viljanen MK, Nikkari S et al. Outcomes of Bordetella pertussis Infection in Different Age Groups in an Immunized Population. J Infect Dis 1994; 170: 873-877. 83 Aquas R, Goncalves G, Gomes MG. Pertussis: Increasing disease as a consequence of reducing transmission. Lancet Infect Dis 2006; 6(2): 112-117. 84 Lavine JS, King AA, Bjernstad ON. Natural immune boosting in pertussis dynamics and the potential for long term vaccine failure. Proc Natl Acad Sci 2011; 108(17): 7259-7264. 85 Althouse MB, Scarpino SV. Asymptomatic transmission and resurgence of Bordetella pertussis. BMC Med 2015; 13(146). 86 Fisher BL. Pertussis Microbes Outsmarts the Vaccines As Experts Argue About Why. National Vaccine Information Center Mar. 27, 2016. 87 Bart MJ, Harris SR et al. Global Population Structure and Evolution of Bordetella pertussis and Their Relationship with Vaccination. MBio 2014; 5(2). 88 DeGouw D, Diavatopoulos DA, Bootsma HJ et al. Pertussis: a matter of immune modulation. FEMS Microbiol Rev 2011; 35(2011): 441-474. 89 Sealey KL, Harris SR et al. Genomic Analysis of Isolates From the United Kingdom 2012 Pertussis Outbreak Reveals That Vaccine Antigen Genes Are Unusually Fast Evolving. J Infect Dis 2015; 2(15): 244-301. 90 Weber C, Coursaux-Eude C et al. Polymorphism of Bordetella pertussis Isolates Circulating for the Last 10 Years in France, Where a Single Effective Whole-Cell Vaccine Has Been Used for More than 30 Years. J Clin Microbiol 2011; 39(12): 4396-4403. 91 Van Boven M, Mooi FR et al. Pathogen adaptation under imperfect vaccination: implications for pertussis. Proc R Soc B 2005; 272: 1617-1624. 92 van der Ark AAJ, Hozbor DF et al. Resurgence of pertussis calls for re-evaluation of pertussis animal models. (p. 1124). Exp Rev Vaccines 2012; 11(9): 1121-1137. 93 Pulendran B, Ahmed R. Immunological mechanisms of vaccination. Nat Immunol 2011; 12(6): 509-517. 94 Thakur A, Pedersen LE, Jungersen G. Immune markers and correlates of protection for vaccine induced immune responses. Vaccine 2012; 30(33): 4907-4920. 95 Flaxman A, Ewer KJ. Methods for Measuring T-Cell Memory to Vaccination: From Mouse to Man. Vaccines 2018; 6(43). 96 Institute of Medicine Committee to Review Adverse Effects of Vaccines. Evaluating Biological Mechanisms of Adverse Events: Increased Susceptibility. Chapter 3 (p. 82). Adverse Effects of Vaccines: Evidence and Causality; Washington, DC: The National Academies Press 2012. 97 Institute of Medicine Committee on the Assessment of Studies of Health Outcomes Related to the Recommended Childhood Immunization Schedule. Summary: Health Outcomes (p. 5-6) and Conclusions About Scientific Findings (p. 11) and Review of Scientific Findings (p. 75-98). The Childhood Immunization Schedule and Safety Stakeholder Concerns, Scientific Evidence and Future Studies; Washington, D.C. The National Academies Press 2013. 98 Casanova JL. Human genetic basis of interindividual variability in the course of infection. Proc Nat Acad Sci 2015; 112(51). 99 Perrie Y, Mohammed AR et al. Vaccine adjuvant systems: enhancing the efficacy of subunit protein antigens. Int J Pharm 2008; 364(2): 272-280. 100 Koenig HC, Sutherland A et al. Application of the immunological disease continuum to study autoimmunity and other inflammatory events after vaccination. Vaccine 2011; 29(5): 913-919. 101 Iwasa Y, Michor F, Nowak MA. Evolutionary dynamics of escape from biomedical intervention. Proc. R. Soc. Lond. B 2003; 270: 2573-2578. 102 Gouma S, Same J et al. Two major mumps genotype G variants dominated recent mumps outbreaks in Netherlands (2009-2012). J Gen Virol 2014; 95: 1074-1082. 103 Kamng’ona AW, Hinds H et al. High carriage and emergence of Streptococcus pneumonia vaccine serotype variants in Malawian children. BMC Infect Dis 2015; 15(234). 104 Munoz-Alia MA, Muller CP, Russell ST. Antigentic Drift Defines a New D4 Subgenotype of Measles Virus. J Virol 2017; 9(11). 105 Ochiai M, Katoako M et al. Evaluation of endotoxin content of diphtheria-tetanus-acellular pertussis combined (DTaP) vaccines that interfere with the bacterial endotoxin content test. Vaccine 2003; 21: 1862-1866. 106 Corbel JJ, Xing DKL. Toxicity and potency evaluation of pertussis vaccines. Expert Rev. Vaccines 2004; 3(1): 89-101. 107 Madsen, T. Vaccination against whooping-cough. JAMA 1933; 101(187). 108 Berg JM. Neurologic Complications of Pertussis Immunization. Brit Med J 1958; 2(5087): 24-27. 109 Strom J. Is Universal Vaccination Against Pertussis Always Justified? Brit Med J 1960; 2(5207): 1184-1186. 110 Kulenkampff, M., Schwartzmann JS, Wilson J. Neurological complications of pertussis inoculation. Archives of Disease in Childhood 1974; 49 46-49. 111 Cody CL, Baraff LJ, Cherry JD et al. Nature and Rates of Adverse Reactions Associated with DTP and DT Immunizations in Infants and Children. Pediatrics 1981; 68(5). 113 Coulter HL, Fisher BL. DPT: A Shot in the Dark. Harcourt Brace Jovanovich, 1985; Warner Books 1986; Avery/Putnam 1991. 114 Barkin RM, Pichichero ME. Diphtheria-pertussis-tetanus vaccine: reactogenicity of commercial products. Pediatrics 1979; 63(2): 256-260. 115 Neuroimmunolgy Clinic, KK Women’s and Children’s Hospital. Encephalitis in Children: Symptoms, Complications and Treatment. Health Xchange 2016. 116 DuVernoy TS, Braun MM, the VAERS Study Group. Hypotonic-Hyporesponsive Episodes Reported to the Vaccine Adverse Event Reporting System (VAERS), 1996-1998. Pediatrics 2000; 106(4). 117 Wheless JW, Sirven JI. Seizures in Newborns. Epilepsy Foundation Aug. 27, 2013. 118 Duffy J, Weintraub E et al. Febrile Seizure Risk After Vaccination in Children 6 to 23 Months. Pediatrics2016; 138(1). 119 Menkes JH, Kinsbourne M. Workshop on Neurologic Complications of Pertussis and Pertussis Vaccination. Neuropediatrics 1990; 21(4): 171-176. 120 HRSA. Encephalopathy, Encephalitis, Acute Dissemination Encephalomyelitis. Vaccine Injury Compensation Program Vaccine Injury Table. Mar. 21, 2017. 121 Pellegrino P, Carnovale C, Perrone V et al. Acute Disseminated Encephalomyelitis Onset: Evaluation Based on Vaccine Adverse Events Reporting System. PLOS One Oct. 18, 2013. 122 Wolf SM, Forsythe A. Epilepsy and mental retardation following febrile seizures in childhood. Acta Pediatr Scand 1989; 78(2): 291-295. 123 MacDonald BK, Johnson AL et al. Febrile convulsions in 220 children – neurological sequelae at 12 years follow-up. Eur Neurol 1999; 41(4): 179-186. 124 LaRoche SM. Seizures and Encephalopathy. Semin Neurol 2011; 31(19): 194-201. 125 Rao S, Elkon B et al. Long-Term Outcomes and Risk Factors Associated with Acute Encephalitis in Children. J Ped Infect Dis Soc 2015; 1(1): 20-27. 126 Burton KLO, Williams TA et al. Long-Term Neuropsychological Outcomes of Childhood Onset Acute Disseminated Encephalomyelitis (ADEM): A Meta-Analysis. Neuropsychology Rev 2017; 27(2): 124-133. 127 Cody CL, Baraff LJ, Cherry JD et al. Nature and Rates of Adverse Reactions Associated with DTP and DT Immunizations in Infants and Children. Pediatrics 1981; 68(5). 128 Miller DL, Ross EM et al. Pertussis immunization and serious acute neurological illness in children. British Medical Journal 1981; 282:1595-9. 129 Institute of Medicine Committee to Study New Research on Vaccines. DPT Vaccine and Chronic Nervous System Dysfunction: A New Analysis. Executive Summary (pp.1-2) Washington, D.C. The National Academies Press 1994. 130 Stetler HC, Orenstein WA et al. History of convulsions and use of pertussis vaccine. J Pediatr 1985; 107(2): 175-179. 131 Institute of Medicine Vaccine Safety Committee. Adverse Effects of Pertussis and Rubella Vaccines. Chapter 4: Encephalopathy (pp. 86-88). Washington, DC. The National Academies Press 1991. 132 Institute of Medicine Committee to Study New Research on Vaccines. DPT Vaccine and Chronic Nervous System Dysfunction: A New Analysis. Executive Summary (pp.1-2) Washington, D.C. The National Academies Press 1994. 133 Lopes SRC, Perin JLR et al. Adverse Events Following Immunization in Brazil: Age of Child and Vaccine-Associated Risk Analysis Using Logistic Regression. Int J Environ Res Pub Health 2018; 15(1149). 134 HRSA. Vaccine Injury Compensation Program (VICP) Data & Statistics. Aug. 31, 2018. 135 Kataoka M, Ochiai M et al. A need for careful evaluation of endotoxin content in acellular pertussis-based combination vaccines. Biologicals 2012; 40 (1): 49-54. 136 Moro PL, Perez-Vilar S et al. Safety Surveillance of Diphtheria and Tetanus Toxoids and Acellular Pertussis (DTaP) Vaccines. Pediatrics 2018; 142(1). 137 Sato Y, Kimura M, Fukumi H. Development of a Pertussis Component Vaccine in Japan. The Lancet 1984; 323 (8369):122-126. 138Deloria MA, Blackwelder WC et al. Association of Reactions After Consecutive Acellular or Whole-Cell Pertussis Vaccine Immunizations. Pediatrics 1995; 96(3). 139 Rosenthal S, Chen R, Hadler S. The safety of acellular pertussis vaccine vs. whole-cell pertussis vaccine: A postmarketing assessment. Arch Pediatr Adolesc Med 1996; 159(5): 457-460. 140 Donnelly SA, Loscher CE at al. Whole-Cell but Not Acellular Pertussis Vaccines Induce Convulsive Activity in Mice: Evidence of a Role for Toxin-Induced Interleukin-1 in a New Murine Model for Analysis of Neuronal Side Effects of Vaccination. Infection and Immunity 2001; 69(7): 4217-4223. 141 Shah RC, Shah AR. Pertussis vaccine controversies and acellular pertussis vaccine. Indian Journal of Pediatrics 2003; 70(6): 485-488. 142 Atwell JE, Salmon DA. Pertussis Resurgence and Vaccine Uptake: Implications for Reducing Vaccine Hesitancy. Pediatrics 2014; 134(3). 143 Newsmax. Poll: Most Parents Believe Vaccines are Unnecessary. Sept. 12, 2016. 144 World Health Organization. Pertussis Vaccines: Position Paper. (p. 449). WHO Weekly Epidemiological Record 2015; 90(35): 433-460. 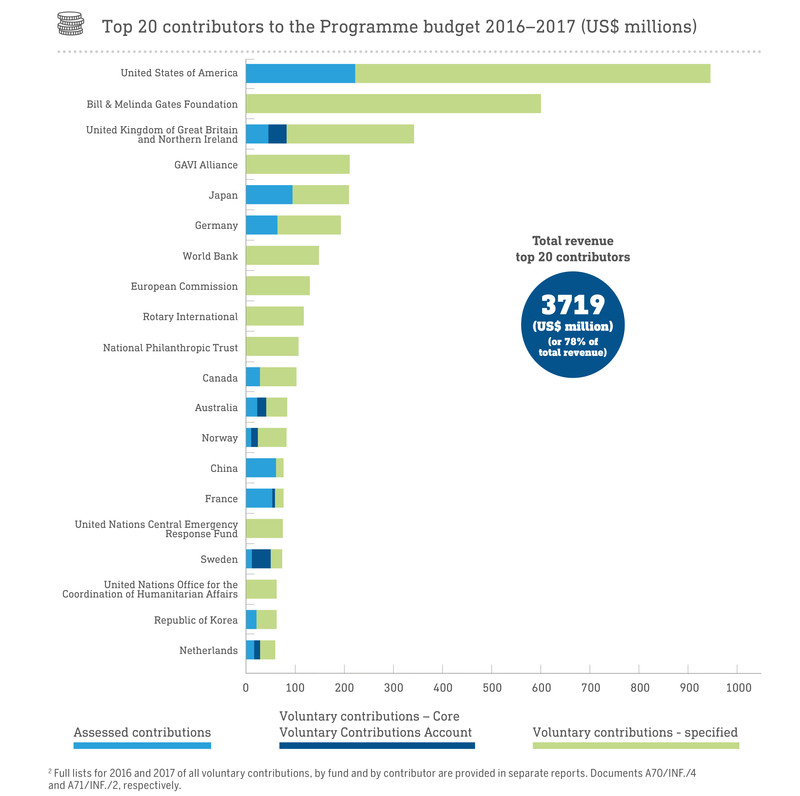 145 World Health Organization (WHO).Top 20 contributors to the WHO Progamme budget 2016-2017 (US$ millions). 146 Cooley T. New PhRMA Report: Nearly 300 Vaccines Currently in Development. BioTechNow Sept. 11, 2013. 147 Plotkin SA, Mahmoud AAF, Farrar J. Establishing a Global Vaccine Development Fund. N Engl J Med 2015; 373(4): 297-300. 148 Halabi SF, Omer SB. A Global Vaccine Injury Compensation Program. JAMA Feb. 7, 2017. 149 Weithorn LA, Reiss DR. Legal approaches to promoting parental compliance with childhood immunization recommendations. Human Vaccines & Immunotherapeutics 2018. 150 Fisher BL. The Moral Right to Conscientious, Philosophical and Personal Belief Exemption to Vaccination. National Vaccine Advisory Committee May 2, 1997 and Debate with Neal Halsey, MD on informed consent to vaccination. Today Show March 1997. 151 Fisher BL. From Nuremberg to California: Why Informed Consent Matters in the 21st Century. National Vaccine Information Center Oct. 24, 2018. 152 Skoff TH, Hadler S, Hariri S. The Epidemiology of Nationally Reported Pertussis in the United States, 200-2016. Clin Infect Dis Aug. 30, 2018. Magnificent article - I commend and bless you for speaking out and trying to end these mandated poisons!!! I wrote a comment about an hour ago but it didn't appear, so I am trying again. Thank you so much for writing this article. It brings back memories of the encephalitic cries that we heard from one of our children who had been given the first two doses of the DPT vaccine at ages two months and again at three months. At that time, infants were given that vaccine plus the oral polio vaccine at ages two and three months. At four months, they were given only DPT, not the oral polio vaccine. I wish I had known back then what I know now because none of my children would have been given ANY vaccines, ever. I read part of a 2002 Oxford University Press document called "The True Story of Pertussis Vaccination: A Sordid Legacy?" by David Geier and Mark Geier. On the 14th page of the 36-page document, the authors said that the acellular pertussis vaccine had been given to children in the 1940s. In the late 1940s, shortly before I was born, it was changed to the whole cell pertussis vaccine, which I am almost positive I must have been given as an infant. Even before seeing the Geier article, I believed that I probably received a vaccine that caused more serious adverse reactions than my older siblings had been given, who had been born during the few years when children were receiving the acellular version. I am pretty sure that each of us children in our family had been vaccinated as infants, since our mother believed what she had been taught in nurse's training, before and after we were born. In a search engine, type the words Vaccine Choice Canada and also the title The True Story of Pertussis Vaccination: A Sordid Legacy? which takes you to a page that shows that title, and then says "Complete article in PDF version" which shows you the article by the Geiers that I am talking about. Both the Geier article and the NVIC article mention the expenses that pharmaceutical companies are worried about when they manufacture vaccines. For example, the Geier article says, "The whole-cell variety was used to avoid the need for laborious and expensive efficacy testing on an acellular version of the vaccine, which would have been required under new federal laws." In the NVIC article, Barbara Loe Fisher said, "Whole cell pertussis vaccine: the most reactive vaccine still given to infants and children in developing countries because it costs drug companies just pennies to make a dose of it." They can not bring this back I know for a fact these DPT caused seizures , the doctor took out the P in my sisters daughters reg. vaccines shots she had to have right before school. She would get stiff as a board, turn blue in the lips etc. I remember well the day my son was vaccinated with the DPT shot, in 1983. He became extremely lethargic, and had a very high fever. I made notes in my shot record book, to make certain I did not leave anything out. At the next well baby visit, when I showed our pediatrician my notes, he took time to read them. Then, he wrote on my shot record page "No more DPT". He never had another DPT shot after that, and thank goodness!